Mercator Gold plc, the diversified mineral development company, is pleased to provide an update on the Copper Flat copper-gold-molybdenum-silver project (“Copper Flat”) in New Mexico, USA, over which Mercator’s wholly owned subsidiary New Mexico Copper Corporation (“NMCC”) holds an exclusive option. As announced on 16 March 2010, Mercator has entered into a binding heads of agreement for the sale of NMCC to THEMAC Resources Group Ltd (“THEMAC”), a company listed on the TSX Venture Exchange (ticker: MAC.H). As a result of the sale of NMCC Mercator will acquire a substantial interest in THEMAC, and will therefore retain a very significant interest in the Copper Flat project’s future development. A complete set of assays has been received for the drilling programme concluded at Copper Flat on 8 February 2010, which totalled 5,041.5ft over seven drill holes. Highlights subsequent to the last drilling report by the Company include an intersection of 144.5ft (44.0m) at 0.46% copper, 0.024% molybdenum, 0.122 g/t gold and 4.7 g/t silver and an intersection of 1,200ft (365.8m) at 0.25% copper, 0.006% molybdenum, 0.112 g/t gold and 2.1 g/t silver. All historic mineralisation types were intersected during the programme and new areas for resource development were identified below and adjacent to the extent of the historic pit model. 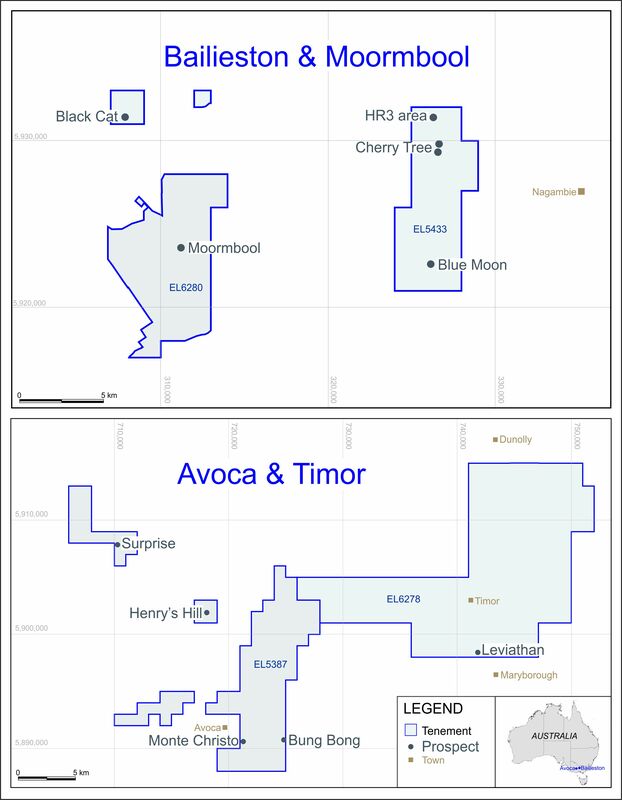 An independent reserve/resource update for the Copper Flat deposit is expected to be available in May 2010. A final report on the pulp re-assay programme that commenced in late 2009 is due in April. Results received to date confirm historic drill results. The major objectives of the programme were to verify the historic reserves/resources of the deposit and to identify new areas for resource development adjacent to and below the extent of the historic pit model. These potential new resources were noted by Pincock, Allen & Holt in their 1999 audit of the project, and it is anticipated that additional low grade and some high grade resources will be estimated in these areas in future. Secondary objectives of the programme included providing updated geotechnical and environmental information, evaluating grade continuity between sections and identifying additional drill targets. Two drill rigs were deployed and 5,041.5ft of core was produced from seven drill holes, totalling 525 samples. The samples were sent to Skyline Assayers & Laboratories of Tucson, Arizona, USA, a fully accredited analytical lab. Assays were performed for copper, molybdenum, silver and gold. Some 33 check samples have been sent to the ALS Chemex lab in Reno, Nevada, USA. Standard procedures for core handling were in place during the programme, with core being logged into the core facility at every shift change. A geologist was on site for all sample preparation and shipping. Around 10% of an approximate 14,000 sample pulps available from historic drilling carried out at Copper Flat by Quintana Minerals from 1974-1979 are being re-assayed, with a final report due in April. Results received to date confirm historic drill results. Copper Flat is a former producing mine with substantial infrastructure still in place. The Copper Flat deposit has historic reserves of 50.21 million short tons at an average grade of 0.45% Cu, 0.1244 g/t Au, 2.053 g/t Ag and 0.015% Mo, based on a cut-off grade of 0.23% Cu. On the basis of current historic reserves and assuming metal prices of US$3/lb copper, US$10/lb molybdenum, US$900/oz gold and US$13/oz silver, the Copper Flat project is estimated to have an NPV of US$348 million and an IRR of 45%, assuming initial capital costs of US$115 million for the recommencement of production and a discount rate of 8% (figures sourced from a preliminary review of the project carried out by an independent consulting group in August 2009). The current price of copper is in excess of US$3/lb. The entire-hole Cu grade of CF10-03 was initially reported as 0.44% over 1,041ft, but subsequent review of the data shows the Cu grade to be 0.52%. CF09-02 was drilled to 141.5ft rather than 126ft. The extra core has been located, logged, and assayed, and the assays have been entered into the database. The restated entire-hole grade of CF09-02 is 0.35% Cu, 0.002% Mo, 0.130 g/t Au, and 3.4g/t Ag. The entire-hole Ag grade of CF09-01 was initially reported as 2.34 g/t, but subsequent review of the data shows the Ag grade to be 2.10 g/t. Total drilling completed during the programme was 5,041.5ft, rather than 5,005ft as initially reported. This announcement has been reviewed by John R. King and Mark I. Pfau, both registered geologists and Qualified Persons under Canadian NI43-101.